At some point, you’re going to want to know the difference between a golf rangefinder and a hunting one. Can you save a few extra bucks with one over the other? Can you use just one rangefinder to perform well in both activities? The answer is ‘Yes’, but you need to be aware of some limitations and buy smart to get a device that will adequately serve both purposes. To get you started on choosing the right rangefinder for your task, here are 5 tips that will help you out. First off, a golf rangefinder uses nearest or first target priority mode. This is the internal function of the rangefinder to find the nearest object (usually a pin) by ignoring distant distractions such as trees, other golfers, and even animals. A hunting rangefinder uses distant target priority mode. This is the internal function that finds the distant target by ignoring the nearest distractions such as brush and trees. 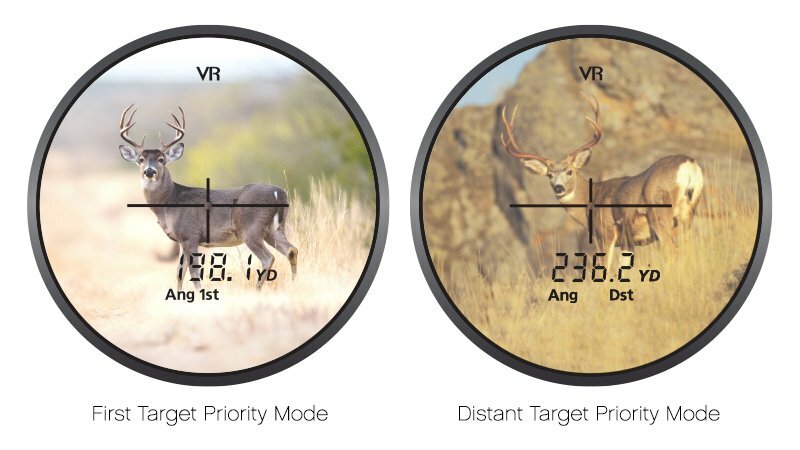 In essence, looking at the different target priority modes obviously points out that neither unit is equipped for switching between golf and hunting. Using a hunting rangefinder might likely have you ranging past the pin and missing the flagstick entirely. Using a golf rangefinder (like one of these) might have you pinging the brush instead of the deer grazing behind it. However, a rangefinder that’s equipped with both nearest and distant modes can give you the best of both worlds. Laser rangefinders such as the Nikon Monarch 7i VR and Nikon COOLSHOT 40i offer Tru Target Technology that allows you to toggle between both first and distant modes. You can set the target priority modes according to the type of sport you need it for. Many golf rangefinders are limited when it comes to ranging distance. When it comes to golf, it’s absolutely appropriate since you’ll rarely need to range past 500 yards. Consequently, most golf units offer maximum flag ranging distances to about 600 with a ranging distance of about 150-400 to the actual flag. 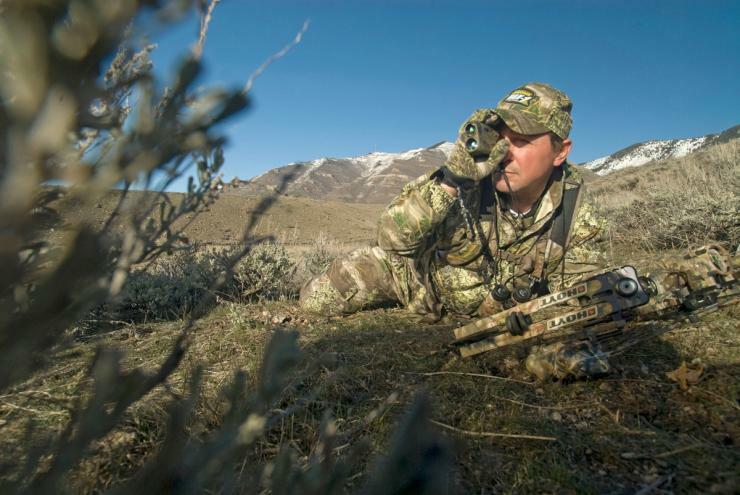 Hunting rangefinders tend to offer much more yardage distance since their targets can be anywhere between 75 yards to even 1300 yards away. The need for the laser rangefinder to pick up reflective targets from a far off distance is vital. However, while a hunting rangefinder might be advertised to range out to a full mile, it’s highest reflectivity readings might only be to 900 yards or even less. However, it’s still sufficient and would be overkill for golf. 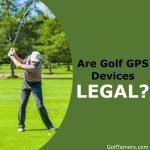 In this case, does a hunting rangefinder work for golf? Absolutely! But, will a golf rangefinder work for long range hunting? Not likely, unless you’re shooting under 250 yards or closer. You should also remember that changing weather, heat mirage, and non-reflective surfaces can have significant impact on the ability of your rangefinder to effectively pick up distance readings off targets. Does yardage distance matter when it comes to both sports? Yes! A couple of good golf rangefinders for hunting in terms of maximum yardage would be the Laser Link XL 1000 that can range out to 1,000 yards and any of the Bushnell golf rangefinders. 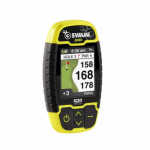 Both golf and hunting rangefinders offer units with LCD and LED displays. There are pros and cons of both. However, the main difference here is the time of day the rangefinder is used. In golf, you’re looking at daytime use. When you’re hunting, you can go into the early morning hours to twilight and dusk. While LED displays are excellent to use on cloudy days on the course, it does have its advantages for hunting as daylight hours end. You have an adjustable brightness setting that allows you to see readings bright and clear. However, it can literally destroy your night vision while hunting after the sun is down. What’s the best hybrid option for use in both sports? A laser rangefinder with an LCD screen and a backlight. You can still see readings without destroying your night vision. Unfortunately, these can be difficult to find as the backlight option is typically only seen on hunting models. The one I like is the Bushnell Hybrid Golf Laser Rangefinder. You can definitely see the benefits of having a weatherproof laser rangefinder for both golf and hunting. However, when a downpour drowns you on the green, you’re out of luck to finish up your round. For hunting, the game is far from over. To sport a rangefinder that can endure the weather changes in both golf and hunting, being waterproof is essential. A golf rangefinders that can do the job superbly for both golf and hunting when the thunder clouds are out is the Leica Pinmaster II. Why is it superior? It can survive submersion under water. That’s the ultimate test to know if it’s going to endure bad weather on the green or in the bush. A rangefinder that’s been specifically designed for golf will have features such as club suggestions, swing rate measuring, shot distance calculators, and very simple reticles. A rangefinder designed for hunting will offer longer yardage ranges, can be pre-loaded with ballistic data, and can even have more complicated reticles. You can also buy a hunting rangefinder with a camouflage skin to help veil your cover from suspecting prey. Whenever you use a specially designed rangefinder for another sport, you will miss out on maximizing the full potential of the rangefinder and enhancing your skills. This is just something to think about if you want to combine the two sports with the use of one rangefinder. However, the cost savings will be less for a dual-purpose rangefinder versus buying two separate rangefinders for each sport. While performance might be compromised, you’ll save some cash with one unit. To Ping or to Shoot? 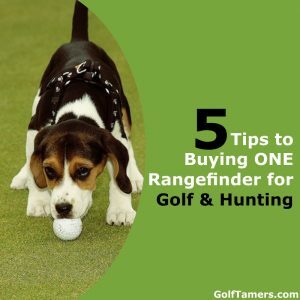 Can you shoot a rangefinder on the course and can you ping a rangefinder in the field? You can do both! With one, high quality rangefinder that has the capabilities of catering to both sports, you can ping and shoot to your heart’s content! Swing by, ping up, and shoot up your targets with a laser rangefinder that can bag you your hole in one in hunting season and tournament play!